Heavy storms will develop and move in to the Piney Woods as many of you head out the door early in the morning. The squall line should reach the Highway 59 corridor around the late morning hours. High winds will be the main threat along and ahead of the line. 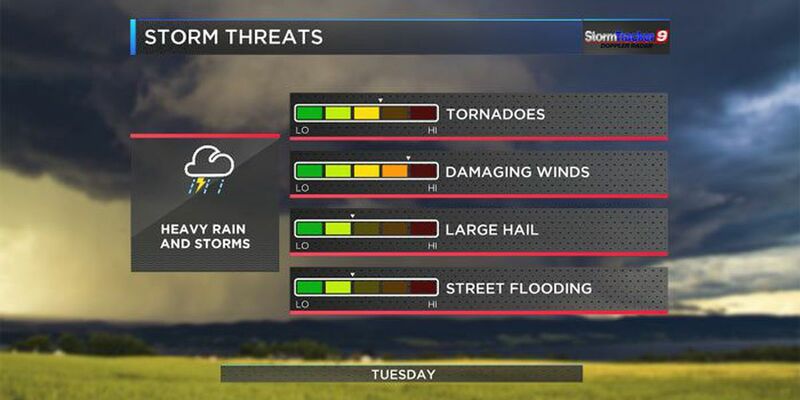 EAST TEXAS (KTRE) - A potent storm system will be moving into the state later today, bringing with it our best chance of severe weather we have seen around these parts in quite some time as we get into the overnight hours and first half of the day on Tuesday. We will see a few scattered showers and thunderstorms move through the Piney Woods later today and this evening, but most of today's activity will stay below severe limits. Our active day for severe weather to become widespread and prevalent across all of Deep East Texas will be on Tuesday. 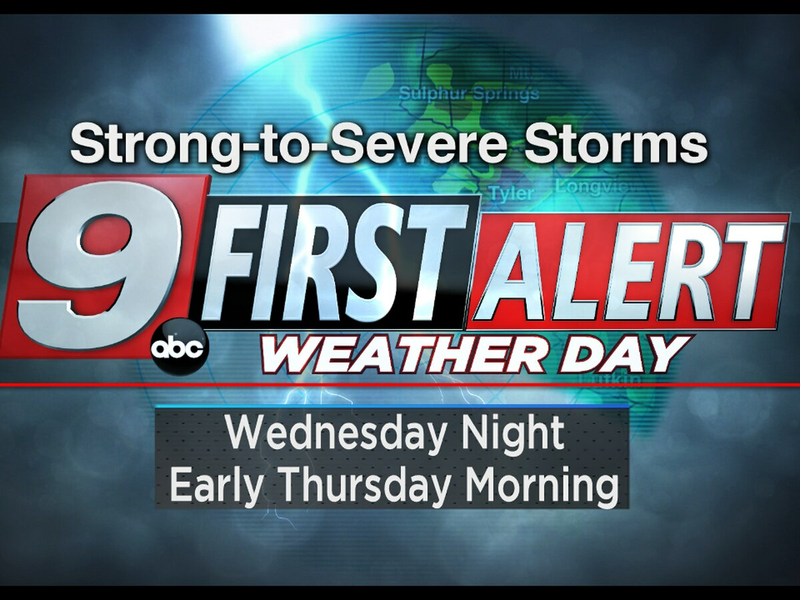 The stormy weather that moves in on Tuesday morning will have all the dynamics and ingredients in place that any storms that move in will be capable of producing damaging winds and even a few isolated tornadoes. It is the tornado threat that has me most the most concerned based on the wind profile that will be in place at that time. The tornado threat will be highest during the early morning hours on Tuesday before the main line of intense thunderstorms pushes through the area. Individual supercell thunderstorms that form ahead of the main line will have the potential to rotate and possibly produce a tornado. The main line (squall line) of strong-to-severe thunderstorms will be moving from west to east, and will impact all of Deep East Texas on Tuesday morning. At this time, it appears the line of storms will be approaching the Crockett, Groveton, and Trinity areas between 7-9 am. It will then move east and impact the Highway 59 corridor, including Lufkin and Nacogdoches , between 9-11 am. Finally, the intense line of storms will hit the Center, San Augustine, Jasper, and Hemphill areas around the midday hours before exiting into Louisiana by the early afternoon time frame. The main severe weather threat with the line of storms moving in will be damaging winds in excess of 50 to 60 mph. 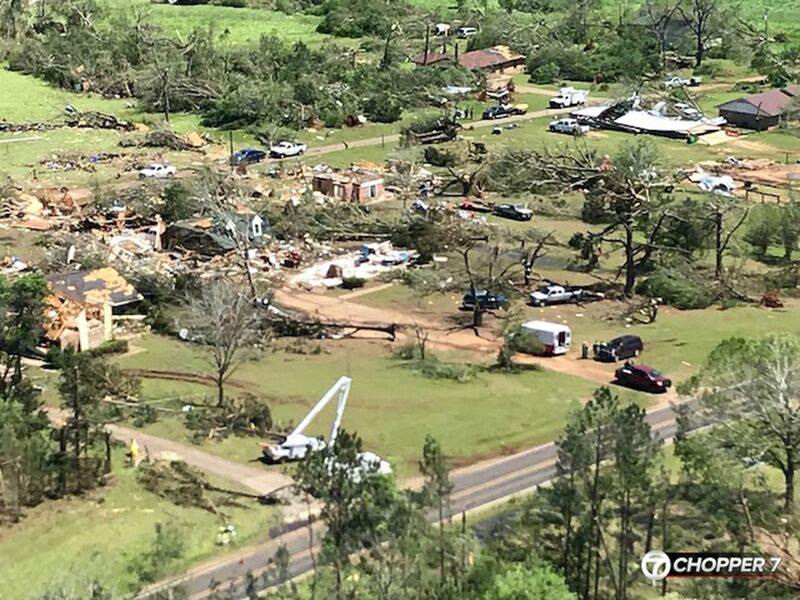 If you have any outdoor items, such as patio furniture, trash cans, or anything that can easily be tossed around by the winds, go ahead and secure them today. In addition to the threat for severe weather, heavy rainfall is also likely, as two-to-four inches of rain will be likely for all of our KTRE viewing area. With much higher rainfall rates expected with this event, some flash flooding issues could arise as well. With active weather expected around our part of the state over the next 12 to 18 hours, please stay weather aware and have a way to get any weather watches and warnings that come down. One of the best ways to stay on top of the weather where you live throughout the day on Tuesday is to have our FREE KTRE weather mobile app. on both your smart phone and i-Pad devices. Our app. gives you access to hourly and daily forecasts, severe weather alerts, and so much more. It's weather on the go, right in the palm of your hand. If you do not have a smart phone but would like to receive a phone call, notifying you if a severe weather warning is issued where you live, then ThunderCall is for you. The great thing about ThunderCall is you can register any phone system that suits your best interest. That could be your personal cell phone, your home phone, or even an office number as well. Either way, make sure you have a way to get the warnings you need in order to stay ahead of the weather situation. ©2015 KTRE. All rights reserved. This material may not be published, broadcast, rewritten, or redistributed.